Everyone who reads my contributions to Always Playing With Thread, knows I can’t resist a good BOM (Block of the Month). They always seem so ‘do-able’. You only have to make one block per month and then before you know it, you have made a quilt top. Esther Aliu, a designer, teacher and artist extraordinaire, has begun her newest BOM, Love Entwined. This is an appliqué quilt that is NOT for beginners. Over the next 18 months. I will endeavour to make my version of this exquisite quilt. 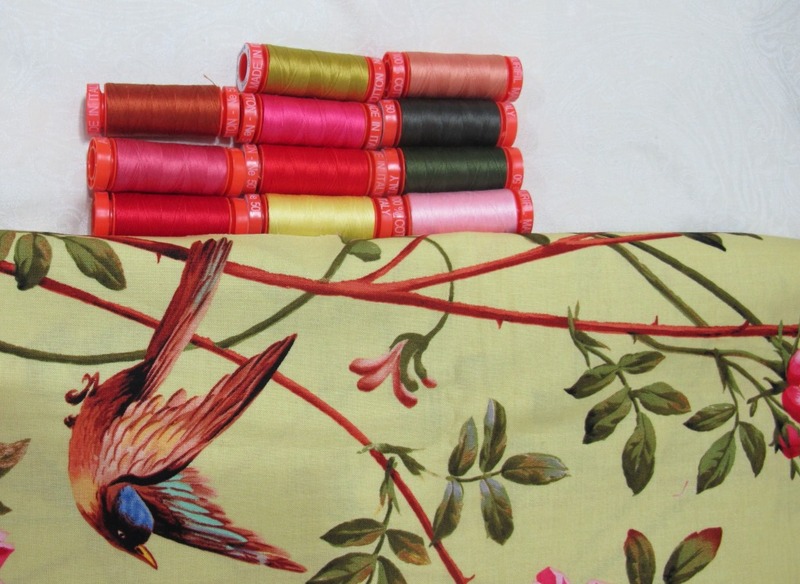 I have spent hours choosing fabric finding many pieces in my stash that contain the colours I plan to use. 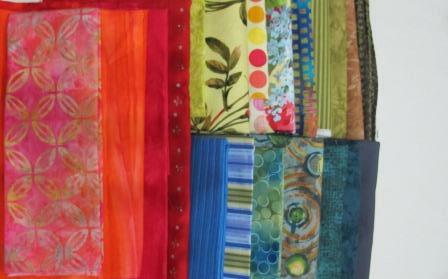 I have my background fabric ready and I have SOME threads I plan to use as well. The first block was challenging for me as it contains 32 TINY circles. I am not happy with them because some of them don’t look round…as the months progress I will, no doubt, become much better at appliquéing small pieces. But for now I will continue on and attempt to keep up. If you would like to join the challenge of Esther Aliu’s Love Entwined, go to www.estheraliu.blogspot.com.au. This entry was posted in Applique, Aurifil, Cotton Mako' Ne 50, Patchwork, Reproduction Quilts and tagged applique, Aurifil, Cotton Mako', design inspiration, Patchwork. Bookmark the permalink. Absolutely gorgeous …….thanks for sharing. Thank you Marie. I am enjoying the challenge. Thank you for the suggestion of Karen Kay Buckley’s Perfect Circles. 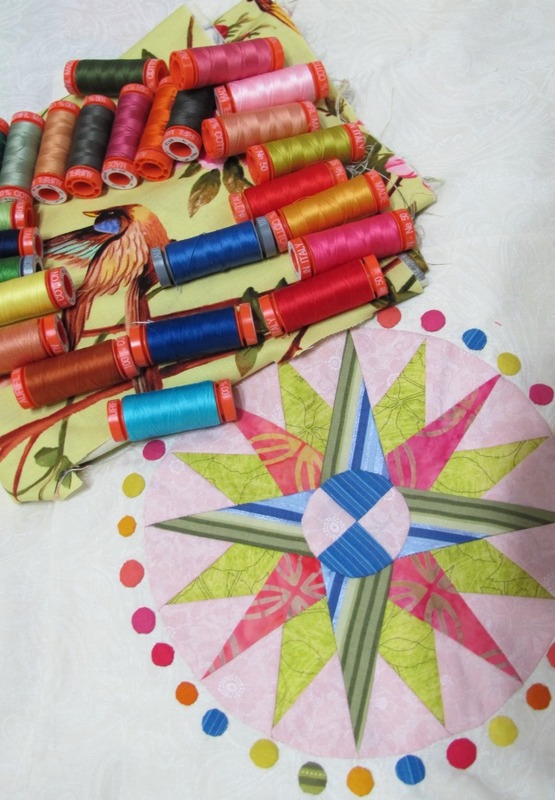 Your Kim McLean quilt has beautiful circles. I am inspired and I will persevere.